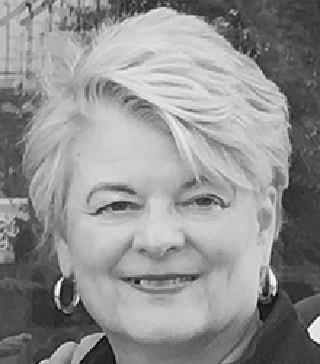 Mary Joan (Samberg) Miller, 70, peacefully passed away Sunday, November 27, 2016, at home. Her love story with her husband, Bob began at the age of 12 at St. James grade school. She and Bob did everything together from work to play and thoroughly enjoyed being with each other. She married Bob at the age of 22 and started a family. They raised 3 wonderful kids, Sarah (Steve) Dent, Anne (Damian) Ruggiero, and Mark (Lindsay) Miller. They also had 7 grandkids, Sophie and Charlie Dent, Grace, Nick, and Joe Ruggiero, and Lauren and Alex Miller, the 7 Cool Cats. Her family was her greatest passion. Mary loved spending time with her family and knew no limits. In the early years, she guided her children to be the best they could be and gave them the tools needed to succeed in life, and consistently provided tremendous love and support. Each family member felt that they were her favorite, though they knew everyone else felt the same. She lived to spend holidays with her family, take the kids to “Grammy’s Park”, do it up on a hot summer day at the lake, or just enjoy time together. Mary was the epitome of a mother. When Mary was not spending time with her family, she could be found cooking, gardening, and entertaining. For her it was never about the flowers or food, rather the small details surrounding it that made it memorable. She had an elegance that made you want to be elegant, an unspoken expectation that made you want to be your best, a strength that made you stronger, and a love that provided security. Mary made the ordinary extraordinary. In 1984, Mary and her husband created Bob Miller Interiors. Mary was an integral part of running the business and had a passion for what she did. They were both active in the business until 4 months ago, when they were both diagnosed with terminal illnesses one month apart. In the spirit of a true love story, the final chapter was written, as Mary passed away a short 27 days after her true love, Bob. Peter (Penni) Samberg; and sister, Karen Malcom. J. Michael Foos, 77, completed his earthly journey on Sunday, November 13, 2016, surrounded by his loving family. He is now “singing in the heavenly choir” above. Mike was born on December 1, 1938, in Fremont, OH to Alvin A. and Margaret I. (Gross) Foos. He was affectionately known as “Feet” by his siblings growing up. Mike graduated from Fremont St. Joseph Catholic High School, attended Baldwin-Wallace University and graduated from Tiffin University with a business degree. In May of 2004, he was inducted into the Athletic Hall of Fame at St. Joseph High School. Mike worked for 38 years for Owens Corning Fiberglas as a payroll tax supervisor. Mike was a longtime football official for Northwest Ohio and Southeast Michigan, and the last surviving member of his original football crew. He was also a Maumee Little League Manager, Coach, and volunteer umpire, as well as a coach for the Maumee girls’ softball league. Mike was a charter member of St. Patrick of Heatherdowns Knights of Columbus Council #14155. Mike was a longstanding active member of St. Patrick of Heatherdowns as a Eucharistic minister, member of the church funeral choir and the weekly cleaning crew. He enjoyed volunteering at AARP as a tax preparer and with St. Vincent DePaul, delivering to the needy. He enjoyed the game of golf and working at the Jamie Farr Golf Classic each year. Mike loved playing cards with his grandchildren, Go Fish and Uno! Surviving are his wife, Suzanne of 49 years, 11 months and 13 days; children, Michael Foos (Heather Wade), Stephanie Foos, Jennifer (Eric) Pyle, Jonathan (Amelia) Foos; grandchildren, Brayden, Ashton, Brody, Peyton, Taryn, Dylan, Ella and Nate; sisters, Sister Elizabeth “Betty” Foos, RSM of Fremont, OH, Jean Marie “Teansie” (Wayne) Tuckerman of Traverse City, MI. Mike was preceded in death by his parents and his 2 brothers, Robert “Knobby” and Thomas “Red” Foos. A Memorial Mass will be held on Saturday, November 26, 2016 at 10:00 a.m. at St. Patrick of Heatherdowns Church, with an hour of visitation beginning at 9:00. Interment will be at Riverside Cemetery. Coyle Funeral Home is assisting the family with arrangements. In lieu of flowers, memorial donations can be given to Josina Lott Residential Services or St. Paul’s Community Center. The family would like to thank the Kingston Perrysburg Rehab 2nd floor staff, the dining room staff, especially the team member that made Mike the homemade Thousand Island salad dressing, his favorite. The family would also like to thank the entire ICU staff of St. Luke’s Hospital, especially the nurses Ashley, Malissa, Kevin, Justin, Zach, and Sue’s sister friend Diane Wollam. A special sincere gratitude to his doctors who advised, told the truth and gave hugs: Dr. Farooq Afridi, Dr. Bassam Sarrouj, Dr. Eric Pizza, Dr. Gregor Emmert, Dr. Rajesh Gupta, Dr. Camille Karaffa, Dr. Brian Savage and Dr. Rex Mowat. Sue would also like to acknowledge the mysterious woman who gave her a hug Thursday afternoon, and to Arrowhead Dialysis for their kindness and willingness to assist in any way they could. 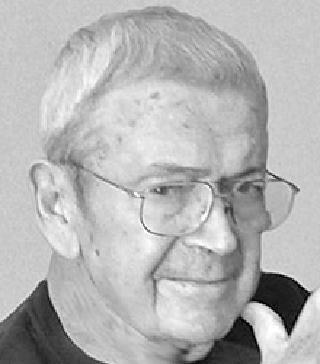 William “Bill” J. Anderson, age 74 of Swanton, Ohio died Saturday, November 12, 2016 at home surrounded by his loving family. He was born in Brooklyn, New York on August 7, 1942, to John H. and Marie E. (Okul) Anderson and on September 11, 1982, he married Susan Hungling. He was a 1960 graduate of Rogers High School. Bill served our country in the United States Army 101st Airborne Division from 1961-1964 during the Vietnam War. He drove semi-trucks since 1966, later retiring from Chrysler Jeep in 2009. 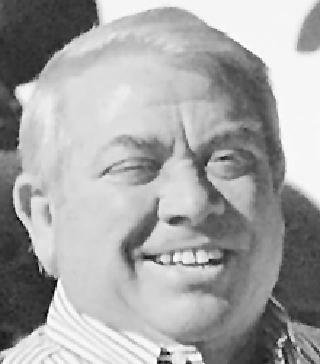 He was a member of Holy Trinity Catholic Church in Assumption, a 32nd Degree Mason with the former Robinson Locke Lodge #0659, a Union Steward with Local #12 for 14 years at Chrysler Jeep and a member of the Centurion Motorcycle Club since 1977. Bill loved traveling especially to Yellowstone Park and parts of Nebraska. He loved dogs and enjoyed spending time with children, but most of all, Bill enjoyed lots of good times with good company. He will be missed by all who knew and loved him. Bill is survived by his loving wife, Susan M. (Hungling) Anderson; son, William “Bryce” (Mary) Anderson; grandchildren, William Anderson, Evelyn Frankie Anderson and Eli William Anderson; sister, Marie Brown as well as many nieces and nephews. He was preceded in death by his parents, John and Marie; brother, John “Jackie” W. Anderson and sister, Helen Anderson. Arrangements by Neville Funeral Home, Southwest Chapel, Holland, Ohio (419-865-8879). Robert James Miller, 71, passed away on October 31, 2016 at home after a courageous battle with brain cancer. Bob was a devoted husband to his wife Mary (Samberg) of 48 years, sweethearts since 7th grade. Proud father of 3, Sarah (Steve) Dent, Anne (Damian) Ruggiero, and Mark (Lindsay) Miller. Also a proud Papa to Sophie and Charlie Dent, Grace, Nick, and Joe Ruggiero, and Lauren and Alex Miller – the 7 Cool Cats. Family was everything to Bob. He was very active in his kids’ lives and provided them many experiences that have taught them an invaluable work ethic. Additionally he welcomed 7 grandchildren into his life. He spent countless hours with each of them, cheering them on at games and performances. Memories were that will stand the test of time. Professionally, Bob made the world a more beautiful place. He followed his passion for interior design. He and his wife started Bob Miller Interiors and worked side by side for over 32 years. They built a reputation for great design in the Toledo area and beyond. Bob shared his passion with his daughter Anne, who will allow his design legacy to live on. Bob touched the lives of many through his zest for life, charisma, optimism and over all love for people. He had a knack for making strangers friends, friends family, and family everything. He believed in people and brought the best out in them. A mentor in every sense of the word. Bob was born and raised in Toledo and was preceded in death by his parents, Lois and Bill Miller. He is survived by his sister, Lynn (Bill) Duty.